At Boston's Logan Airport, some tributes to the passengers who died on the two planes that hit the Twin Towers on Sept. 11, 2001, are plain to see, but they often go unnoticed by the flying public. Those tributes are American flags flying above the jetway at the gates where the two flights departed. The flag above gate B-32 honors the crew and passengers of American Airlines Flight 11, which hit the North Tower about one hour after leaving Boston. In the neighboring terminal, above gate C-19, there is another flag. 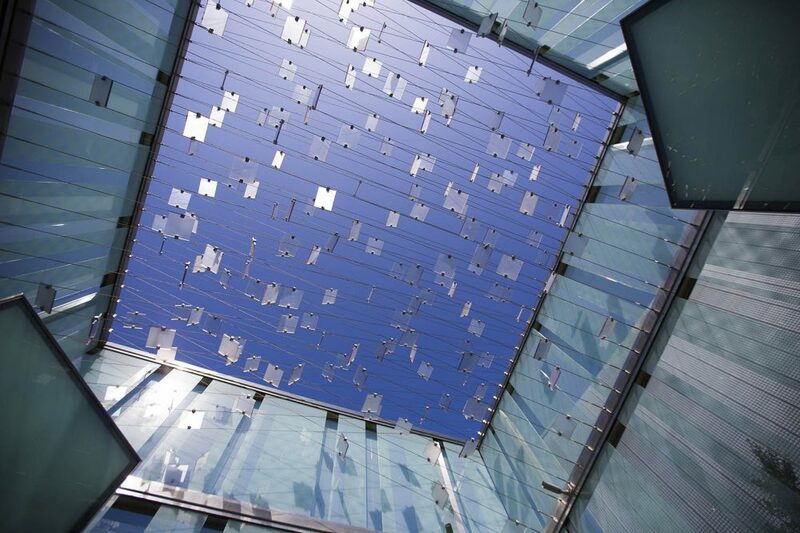 It is for those who died on United Airlines Flight 175, which slammed into the South Tower. The flags were put up by the airlines in the weeks after the attacks. They fly in clear view of the terminals and the taxiways, but there is nothing to note why they are there. "Those who care know," said Thomas Glynn, the CEO of Massport, which runs Logan. He added that the airlines chose not to put up any kind of marker. "They didn't want to look like they were making a big deal out of something that was making a sign of respect," Glynn said. In 2014, United moved to a new section of Terminal B and chose to put up a new flag at gate B-27. 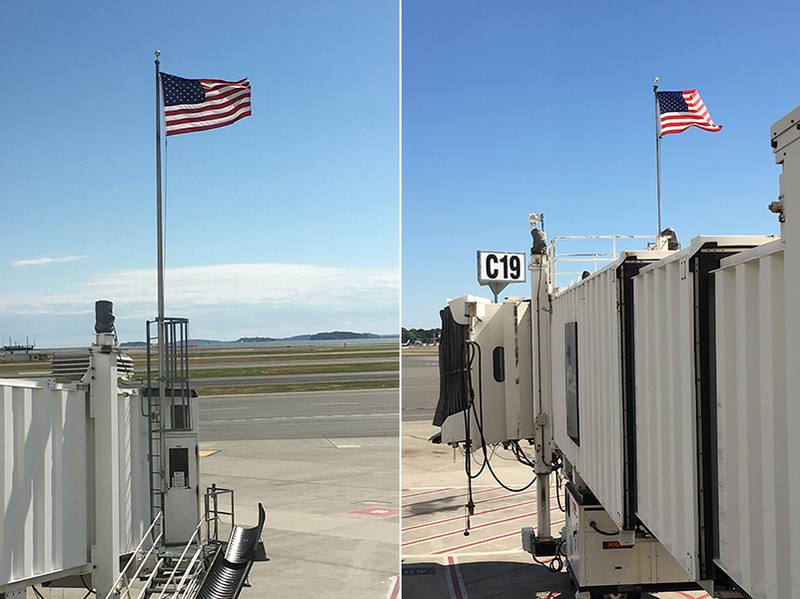 JetBlue, which took over United's gates at Terminal C, chose to keep the existing flag at C-19. There is also a subtle tribute to the two flights as part of the airport's official 9/11 memorial. 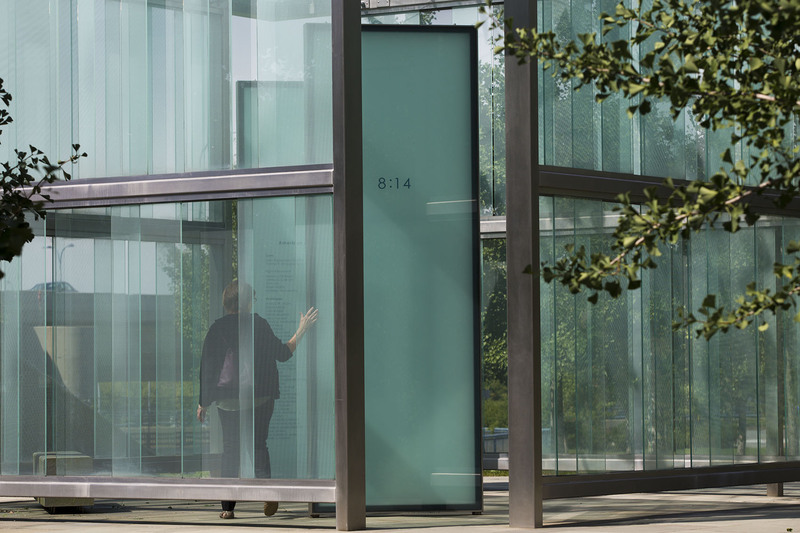 That memorial features two walkways leading to a 20-by-20 glass cube which includes the names of those who died. 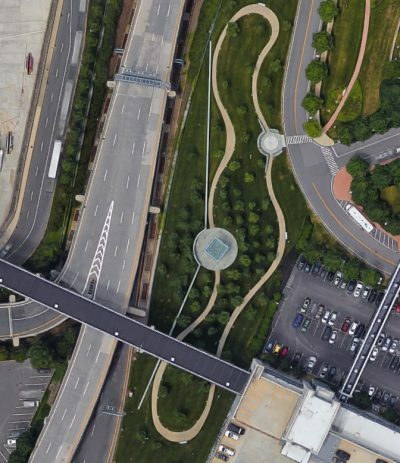 The walkways are similar to the paths taken by the two flights on Sept. 11. The memorial, which opened in 2009, was designed by the Boston-based firm Moskow Linn. Architects made a point of building the memorial "cube" on top of a hill, with the two paths leading to it. "Our particular focus was moving up a hill and moving upwards and looking to the sky," said Robert Linn, one of the lead designers. "I think that's reflective of Massport's desire to move beyond the tragedy and get to a new way of thinking about what happened here." The designers wanted the memorial to look different in each season and also to change as time went by. The small trees planted when the memorial opened seven years ago have grown larger. "We wanted the memorial to be a living memorial," Linn said. "We knew that the way people felt about 9/11 10 years ago was not going to be the same it is now." Another legacy from the attacks is one no passenger sees: a daily security meeting, which includes representatives from the airport, airlines, security and police. The meeting began on the morning of Sept. 12, 2001, just 24 hours after the attacks. "That continues every single day, [including] holidays and weekends," Glynn said. "That's a good thing that came out of it, that people at the airport are very proud that it got created in that environment and that it's been sustained." All action at Logan Airport will stop at 8:46 a.m. Sunday, exactly 15 years after Flight 11 crashed into the North Tower. Then, after a moment of reflection, business will resume. But the attacks are never far from the minds of the 17,000 people who work at Logan. "There's probably not a day that goes by people don't talk about it," Glynn said. "It's very much part of the fabric for people who were here that day, of which there are many, many who are here today." This segment aired on September 8, 2016. 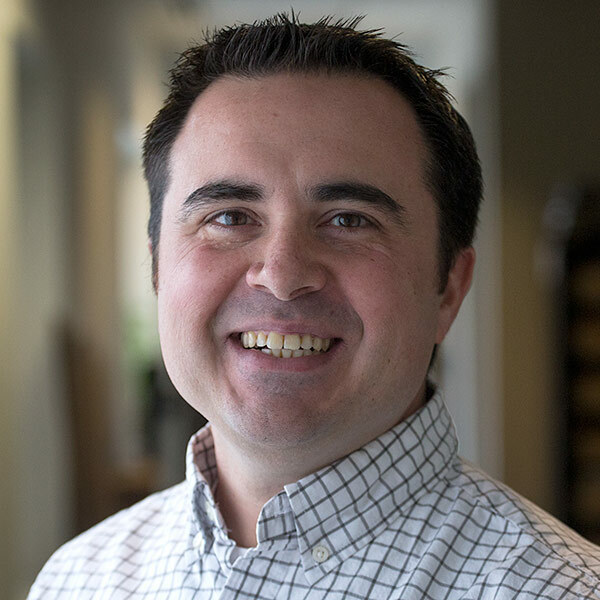 Dan Guzman is senior producer for Morning Edition at WBUR.